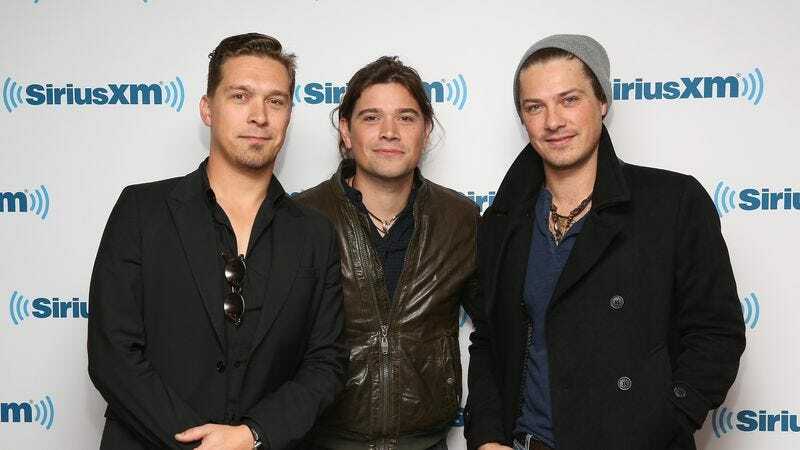 This month marks the 20th anniversary of the release of MMMBop, an album of demos released by Hanson a year before the group’s first studio album, Middle Of Nowhere, became a smash-hit. MMMBop the album is notable for featuring the first appearance of “MMMBop” the song, although that demo version is more of a ballad than the infectious ear-worm that has been tormenting the world since 1997, and now the boys of Hanson (the cute one, the ugly one, and the other ugly one) are honoring this impressive milestone with a lengthy reflection on the legacy of their biggest song. The boys are still hopeful that someone will perform it properly someday, noting that the song “probably needs a really good cover.” As for who they’d trust to take on such an important task, one of the brothers suggests Fitz And The Tantrums and another says Bruno Mars would “probably find a way to kill it.” The rest of us will just have to try a little harder if we want to impress the Hansons.